Casinos have a visceral appeal. From the oxygen filled game floors, to the free-flowing alcohol, to the excitement of winning or losing everything on one spin of the wheel. Casinos have always been built on the palpable excitement inherent in the experience. Yet only a very small minority has been so lucky as to experience the thrill of a brick and mortar casino. Monte Carlo, Monaco, Las Vegas—they all have one thing in common other than the games. To get there you need to take a trip, which for many people can mean flight and hotel on top of what they’re willing to gamble in one thrilling night. In the late 1990s, visionary entrepreneurs realized the potential the internet afforded them. Instead of bringing people to casinos through expensive incentives such as hotel rooms and meals, why not bring the casino to people’s homes? The internet has not only made casinos accessible to a large portion of the population, but also reduced operating costs to such a degree that online casinos were able to reflect their savings in dramatically increased player odds. In the process they were able to bring not only the games into people’s homes, but as technology has been steadily moving forward, and high end hardware has become more affordable, the online casinos have been able to create a living, pulsating and convincing simulation of the brick and mortar casino experience by utilizing state of the art graphics and sound, 3D technology, and high bandwidth to stream Live Dealer Casino rooms into people’s homes. As the technology has improved, the variety of games and their quality has kept pace. Online casinos are leaders in technological innovation, and the software platforms of recent years support such a wide variety of games as to make traditional casinos seem puny in comparison. Options are almost limitless, with many of the better casinos online offering 500 or more games at any given moment—this is in addition to special tournaments, progressive jackpots that pay out astronomical sums, and VIP game rooms. To compare online casinos to their brick and mortar counterparts, has become almost unfair, as the sheer amount of options and games so far surpasses the traditional casinos as to make the comparison nonsensical. If you’ve ever been to a brick and mortar casino, then you know what to expect, and you can dive right into the online experience. You will never look back. If, like many others, you’ve heard of casinos, but never been to one, you should take a moment to learn about the various different games out there—just so you don’t get overwhelmed by the sheer variety. This way you can also identify which games appeal to your particular playing style. You might enjoy the flash and chance of Slots or you might be the type who revels in strategy and wants to learn the best way to beat the house, in which case you’d be a Blackjack player. 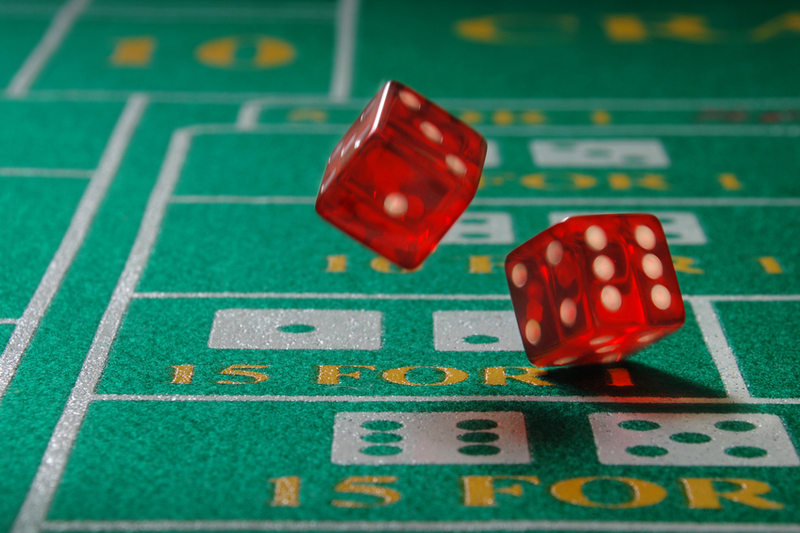 Craps offers an altogether different experience—a hybrid of the excitement of chance and the interaction of knowing how to bet. There are games to suit all styles, so I will briefly outline them here. Once you’ve identified the games you would be most interested in, you will need to learn as much as you like about them. Slots are simple and fun. This short explanation actually tells you exactly all you need to know about slots. They are the simplest of all the casino games. You insert your credits, you press the button, and you let Lady Luck do her thing. Any given pull might be the one that yields the big payout. People do win, and when they win they win BIG. The game is distilled down to the core essence of gambling. Never boring, slots are the staple of the casino world. In brick and mortar casinos slots are placed by the entrances to entice people to enter. The experience of playing slots online loses absolutely nothing in translation. It is exactly the same as playing in the casino floor—right down to the graphics on the machines. The main reason that the game of pokies online has players returning again and again is the dream of winning that enormous jackpot. When playing at the online pokies in Australia, this dream does in fact become a reality for many players in Australia every year. 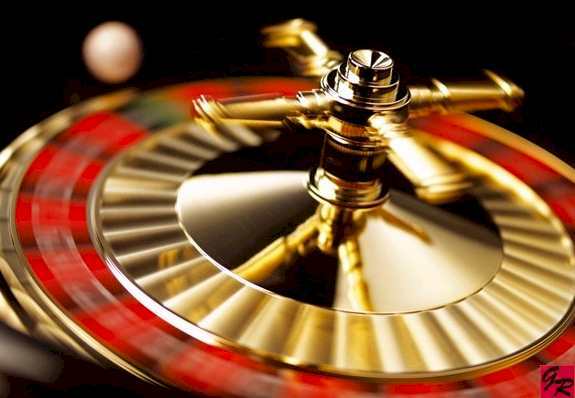 Roulette is the iconic casino game. When one pictures the classy casinos of Monaco, the first image that comes to mind is high society high rollers in tuxedos and elegant women in flowing evening gowns. The spinning wheel and the little ball that makes or breaks fortune with a single bounce is ingrained in the mind’s eye of anyone who has ever seen it played in a movie. The online casinos have managed to bring the experience to life via state of the art graphics and sound. The digital experience is every bit as satisfying as its analog counterpart. Blackjack is the single most popular casino game in existence. A card game that appears simple on the surface—it is actually a deep and complex game of chance and skill. Deep knowledge of probability and statistics are necessary to play this game. But the most skillful players know that if played properly, Blackjack offers the best chance of going home a winner. 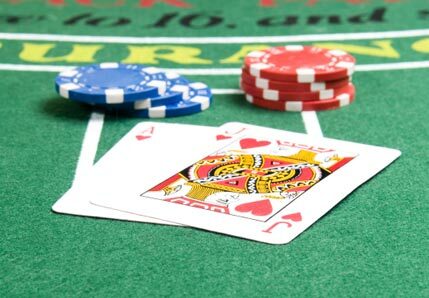 The very fact that the player is able to affect the outcome of a hand due to ability learned through diligence and experience, contributes to Blackjack’s popularity. Online casinos offer even better payouts than their brick and mortar counterparts, and the digital nature of the game means players can consult betting guides and study the game in depth while playing—something that may not be possible to do in Las Vegas. Video Poker is Blackjack’s little brother. It is like a mixture of Poker and Slots, and it differs from other casino games in that it relies on player skill in addition to chance. Video Poker is a cerebral game, and with proper play can offer big wins. 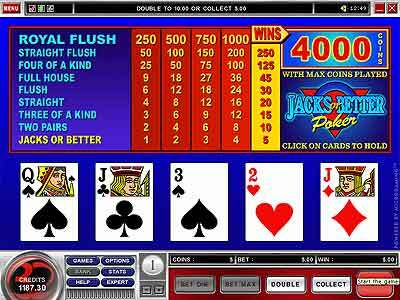 As with slot machines, the conversion to the online world is seamless in Video Poker. The machines are exactly the same as the ones found in Atlantic City or Vegas—right down to the graphics and sound. If Blackjack is the most popular game in the casino, then Craps is certainly the most beloved. Everyone knows Craps from movies, where the player asks a woman at his side to blow on the dice before the big roll. People gathered around, drinks flowing, energy abuzz. Craps is fast, exciting, and fun. It doesn’t hurt that Craps offers the best odds in the casino. It stands alone in the rarefied world of extremely high casino odds—as high as 99% if played online. This is where the online version truly shines. To see win after win pile up in a fast paced game of chance is a fantastic experience. 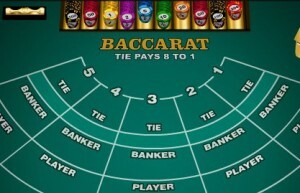 Many online casinos offer Baccarat. This is a game that was once the exclusive province of the extremely wealthy. Even in brick and mortar casinos, the Baccarat room was usually reserved for the high rollers who could afford to play. It was immortalized in the films of 007, and forever associated with men who would conquer the world or the only one who could stop them. 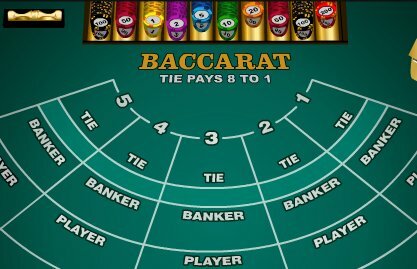 Baccarat is a simple card game on the surface, but actually follows a strict set of rules and traditions. These rules force players to make extremely high wagers, which is what has always kept players away. In brick and mortar casinos it is not unheard of for tables to have $500 minimum bets, and wagers going into the hundreds of thousands of dollars. Online is a different story. The game has been given to the people. Low minimum wagers, clearly explained rules, and online guides are there to allow anyone to play this rich and ancient game. If you sign up to one of the best online casinos, you will be able to try out any of these games, as well as so many more that a simple introduction cannot suffice. The best and most trusted of the online casinos allow you to play their games for free, with no monetary commitment on your part. You can try out the games, learn their ins and outs, and if you feel confident that you can win, then don’t hesitate to join them and play for the real money.